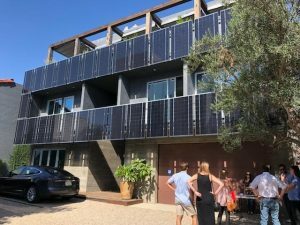 Over the weekend, this year’s Santa Barbara ArchitecTours put on by the AIA Santa Barbara took place at twelve masterful examples of architecture throughout Downtown Santa Barbara – Our Santa Barbara Campus, Anacapa Studios included! 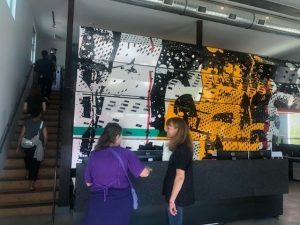 We opened the doors with a guided tour while allowing attendees to explore and discover all the elements and hard word that went into the creation of the buildings and the spaces between them. The amount of energy and interest in architecture from the attendees was truly invigorating. See below for photos of the event along with a brief description of our Anacapa Studios Campus. ArchitecTours Attendees examining the front building’s gallery space. 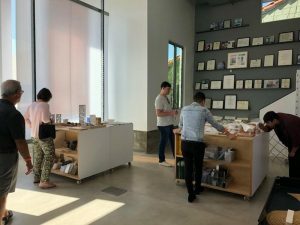 Our Anacapa Studios campus is broken into three buildings – the first building (shown above) is inhabited by our workshop and gallery exhibiting models, explorations, and artifacts of ShubinDonaldson projects. ArchitecTours Attendees exploring the second building’s studio space. 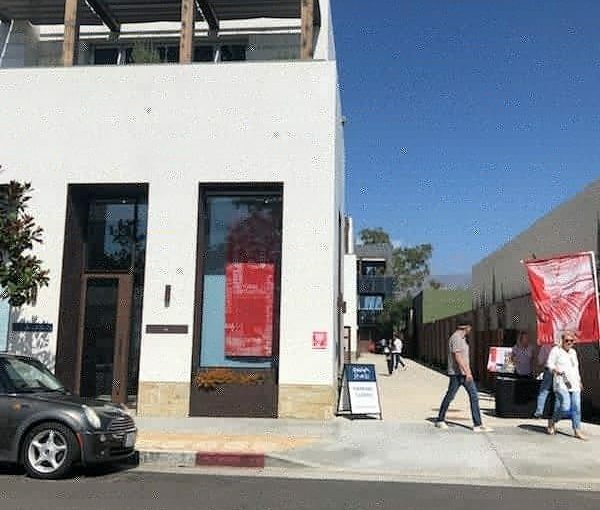 The second building (shown above) is inhabited by our main workspace of our Santa Barbara Office with a lofted meeting room above. ArchitecTours Attendees on the exterior of the third building, a residential home and office to SD Partner Robin Donaldson. The third building (above and below) is inhabited by an office for Partner Robin Donaldson on the first floor, and his family in the residence above. 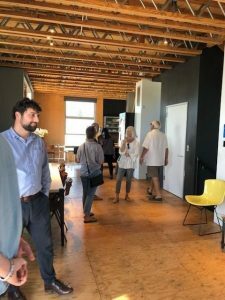 ArchitecTours Attendees exploring the interior of Ancapa Studio’s third building.